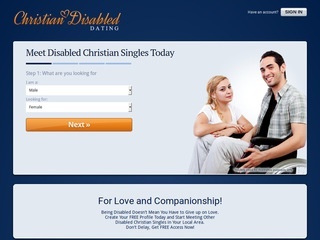 Christian Dating Disabled is a niche dating site for disabled gay singles. If you're gay and dealing with a disability, then this may be the site for you. Registration is free. 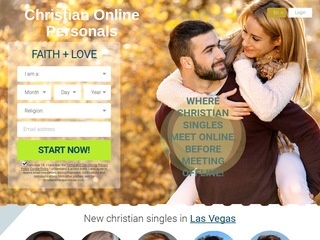 Dating Christian Singles - Find New Love! 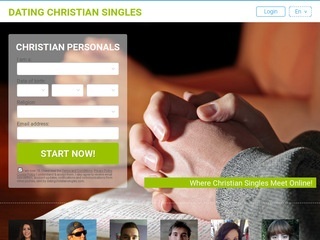 Dating Christian Singles is for single Christian men & women, and those that want to love them. Join for free and browse through profiles of people just like you...or maybe even a little cuter. eHarmony - God creates an infinite variety of people... so finding the ones who are right for you can be almost impossibly hard! 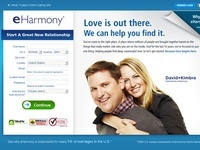 eharmony is here to help you find the person who will truly be your "soul mate!"